The solution to so many challenges. 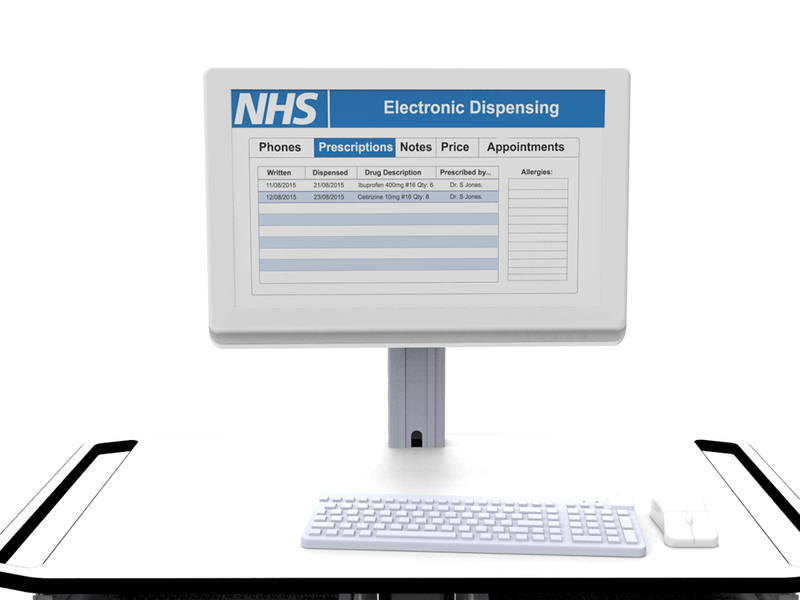 The introduction of electronic prescribing brings about so many benefits for Hospitals. 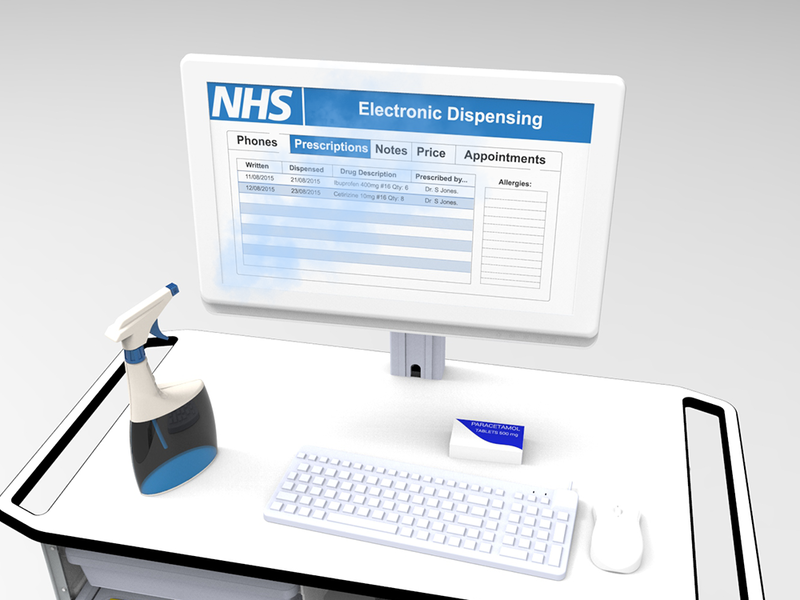 However, without the right dispensing equipment – you’ll find you run into more problems than solutions. 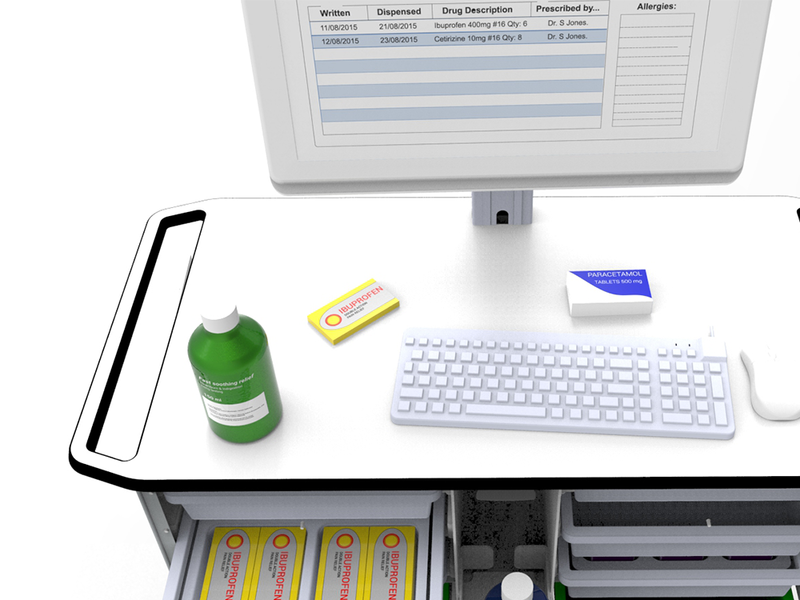 Enhance workflow by reducing the need to restock as often and having more visibility of more organised medication. You’ll find high capacity storage that is secure. 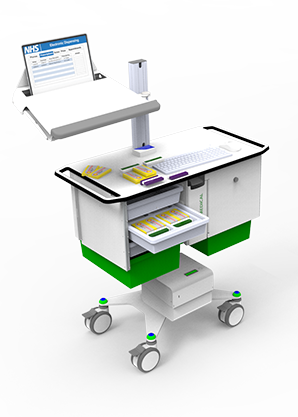 Split between 3 separate compartments means you can organise to suit your workflow. 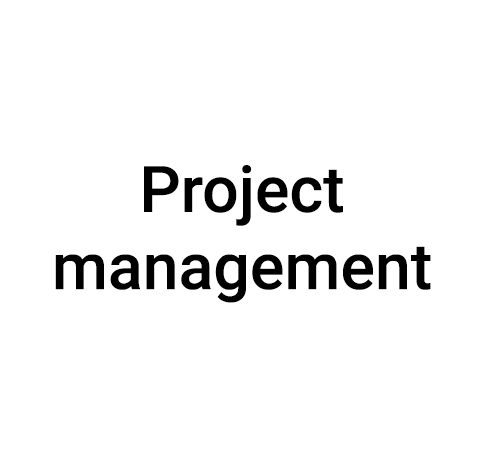 We understand that various Hospital departments make up the ePMA project team. Explore the benefits that suit you. Low profile stainless steel hinges provide more security and better durability. 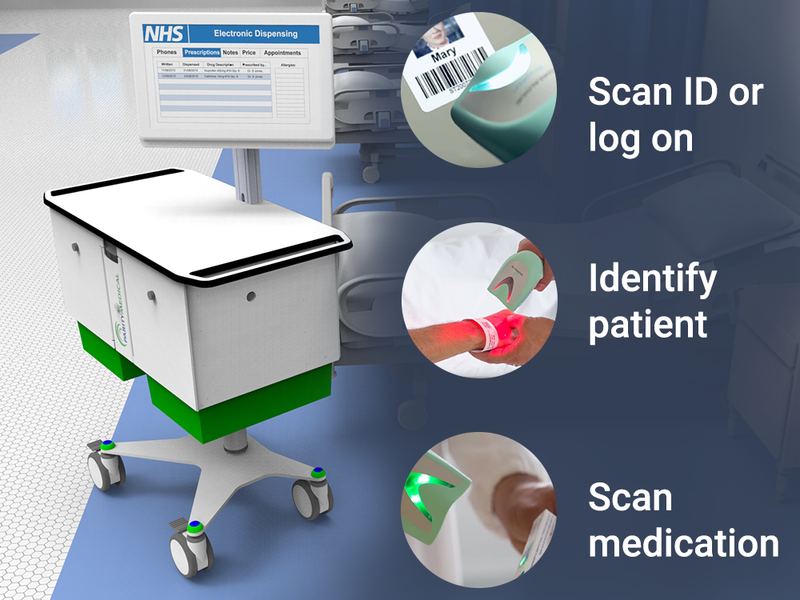 Reduced errors - integrated scanner. 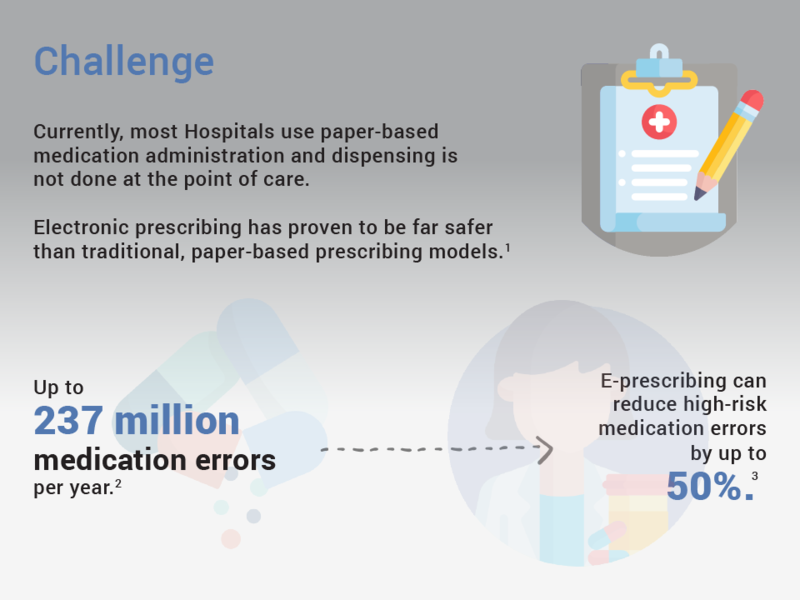 Accessibility of technology at the point of administration reduces the risk of medication errors, improving patient safety while saving time. 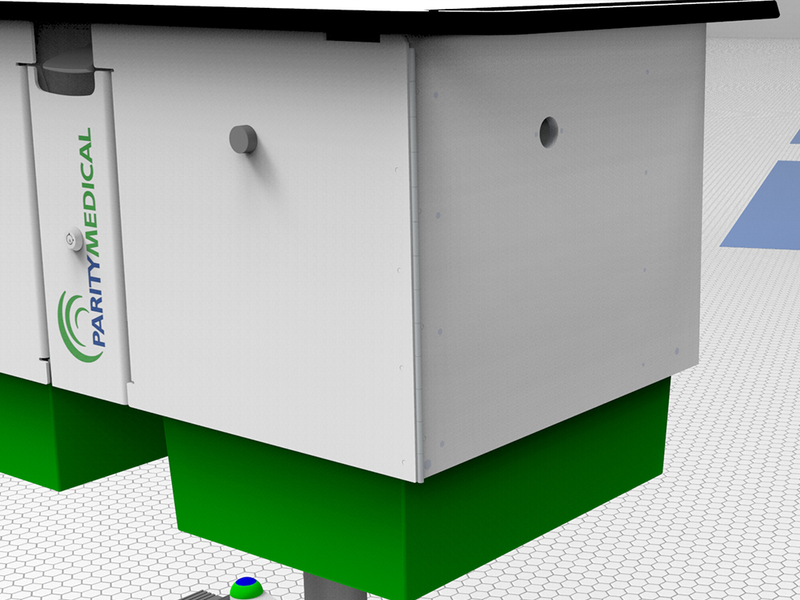 A robust medication enclosure ensures high-security. Both doors are locked with 1 single point and are manufactured in accordance to BS2881:1989. 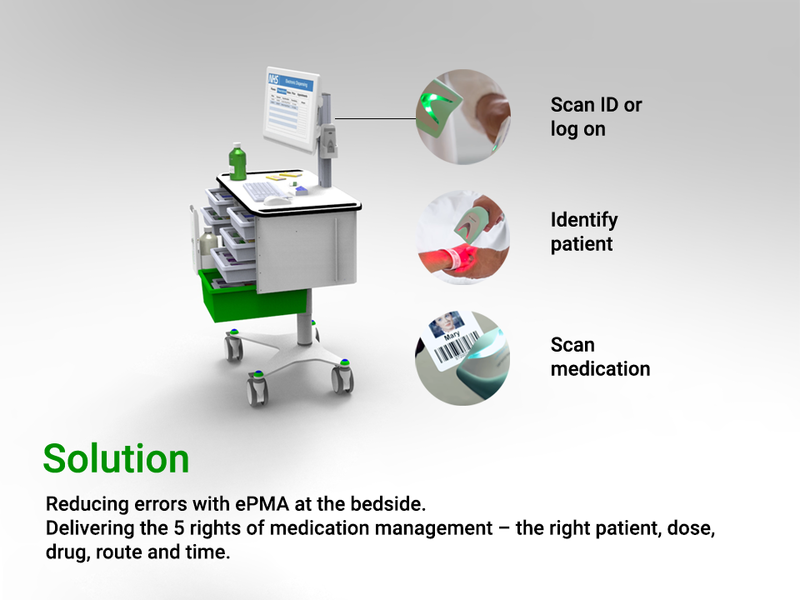 Equipping your Cart with a printer enables printing and labelling at the bedside, ensuring a reduction in medication errors and accuracy of medication dispensing. 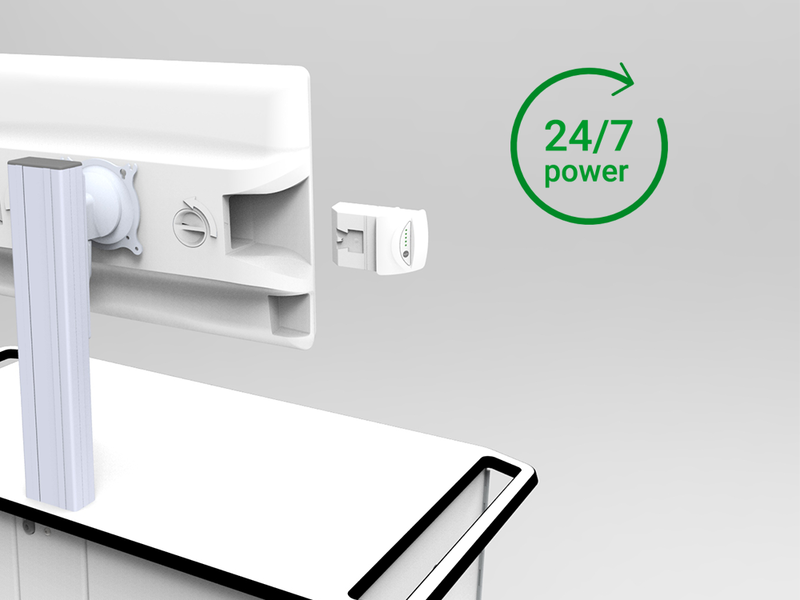 Hot-swappable batteries ensure you can have 24/7 constant power. Less downtime. More time to care. 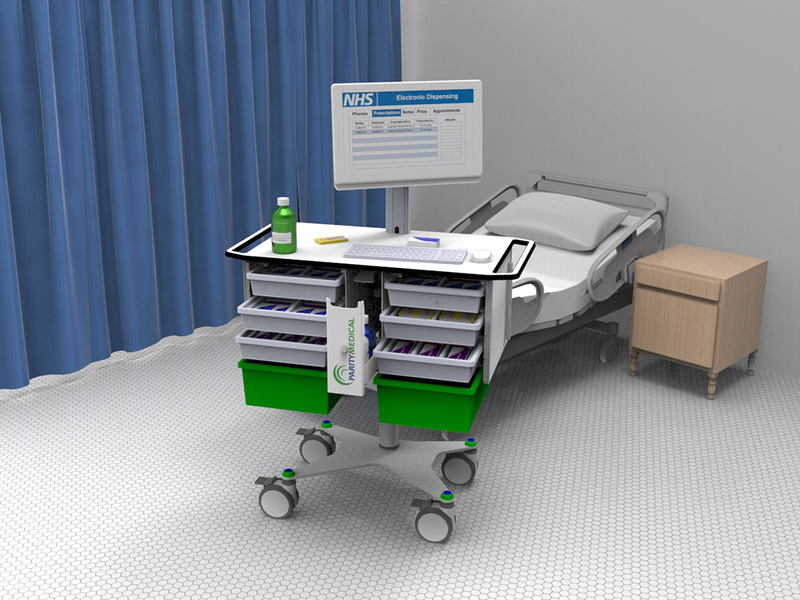 Improved storage, security and organisation options for medication means less medication is wasted - saving huge costs for your Hospital. 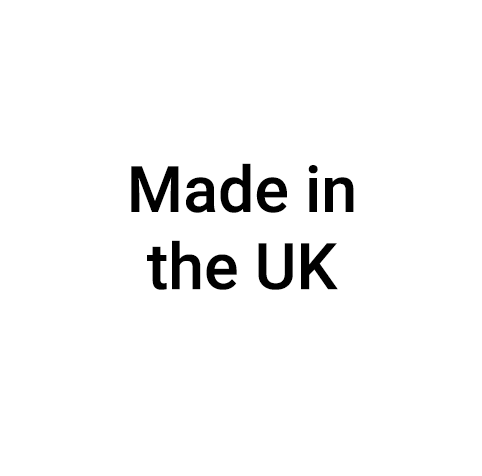 We have a range of locking options, from a high-security Smart RFID Lock, a numeric digilock and various traditional key locks. 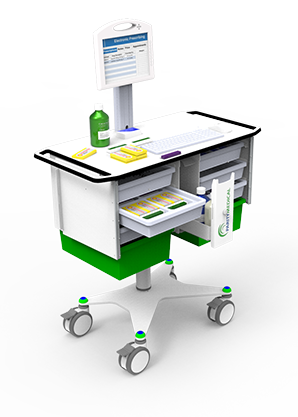 Patients receive better information with point of care medication dispensing, enhancing their experience and delivering the patient's five rights. 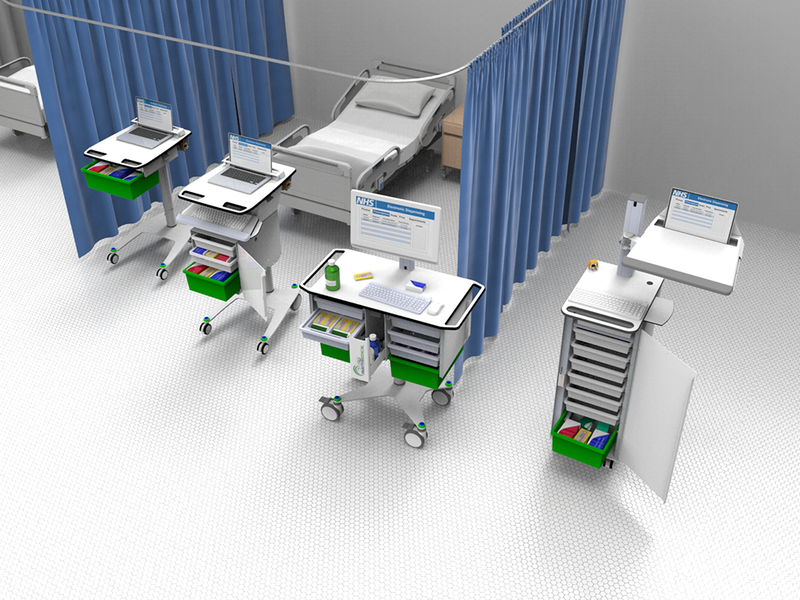 The MedRound is part of our extensive ePMA range of solutions for different hospital environments. 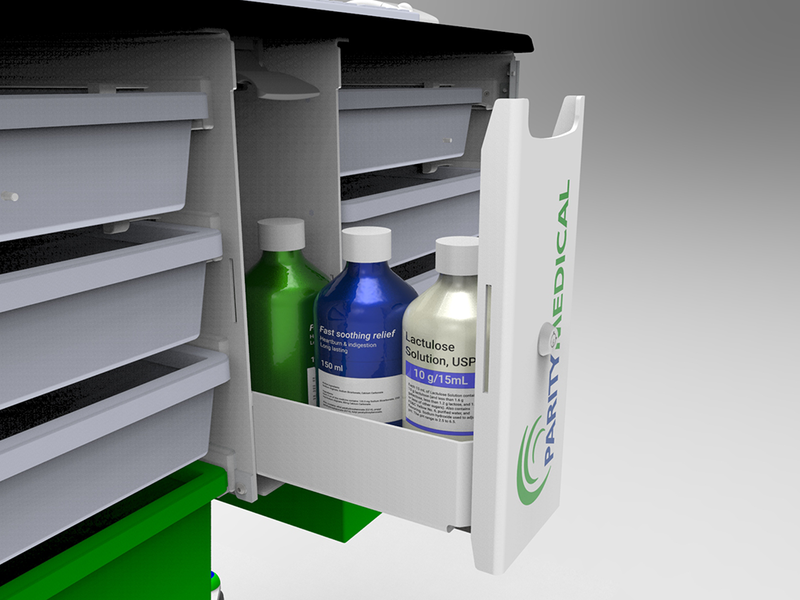 More storage than traditional dispensing Carts, with less weight. Less restocking. Complete med rounds faster. 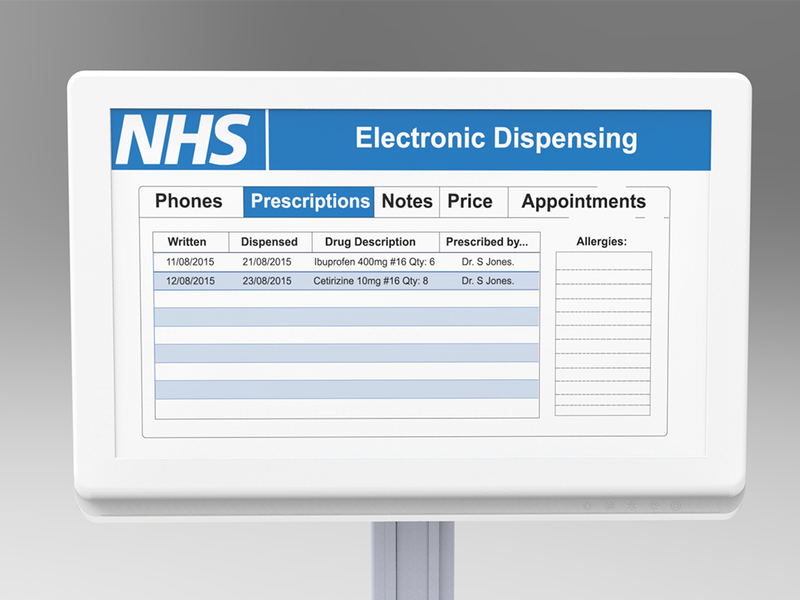 Save time by conducting full medication rounds without the need to restock halfway through. 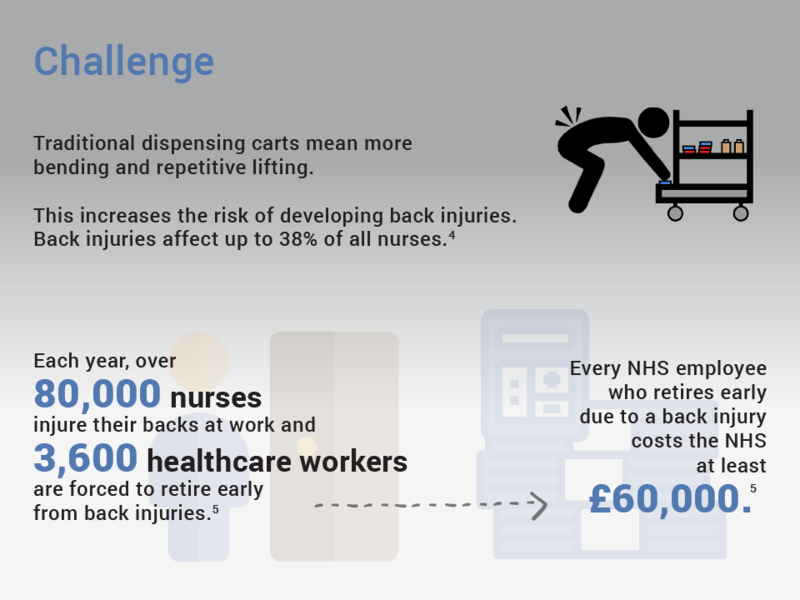 Improving efficiency and releasing more time to care. We support a range of devices for different applications, such as Laptop, All-In-One PC, PC with SmartPower system, Laptop or Tablet variants. Whether you need a powered or unpowered Cart, we have the solution that fits your needs. 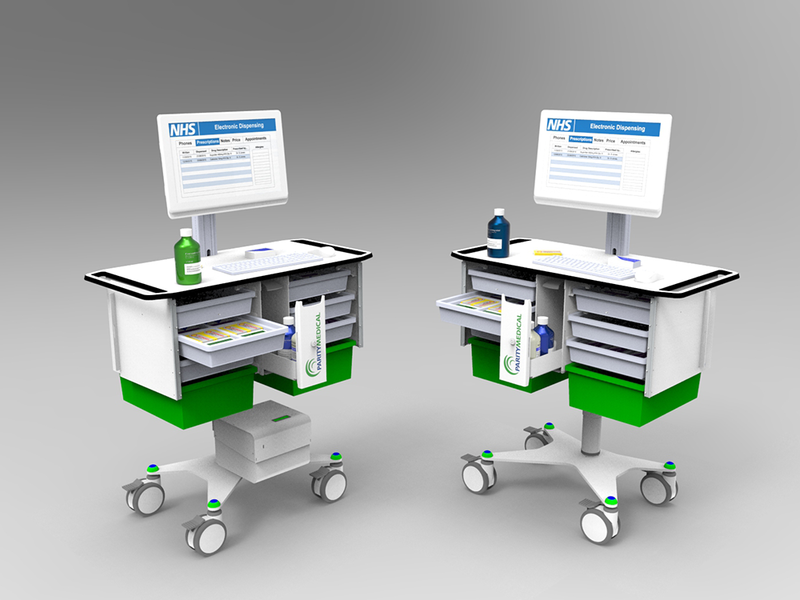 Clinicians asked for the storage of a traditional dispensing Cart, but with height adjustment for reduced bending. 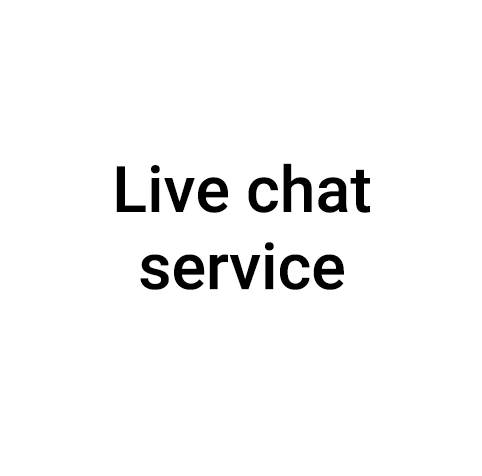 You asked. We delivered. 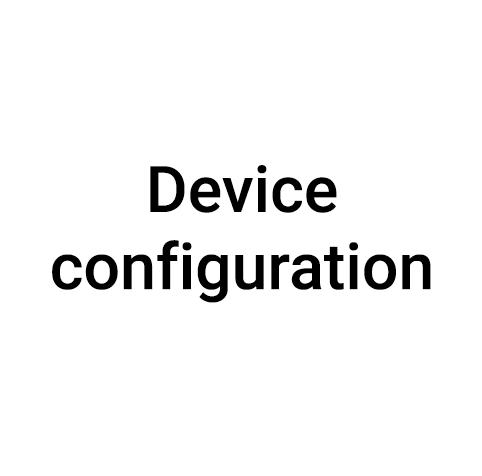 We can preconfigure your solutions - for example hard drive preimaging and configuring IT accessories. 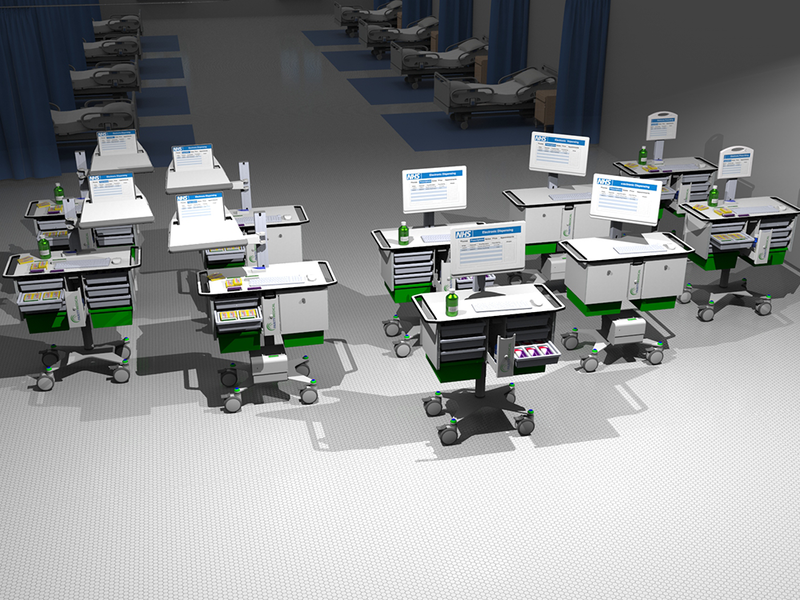 Less hassle for IT teams and ready for instant roll out. High-capacity storage. Easily visible at waist height. 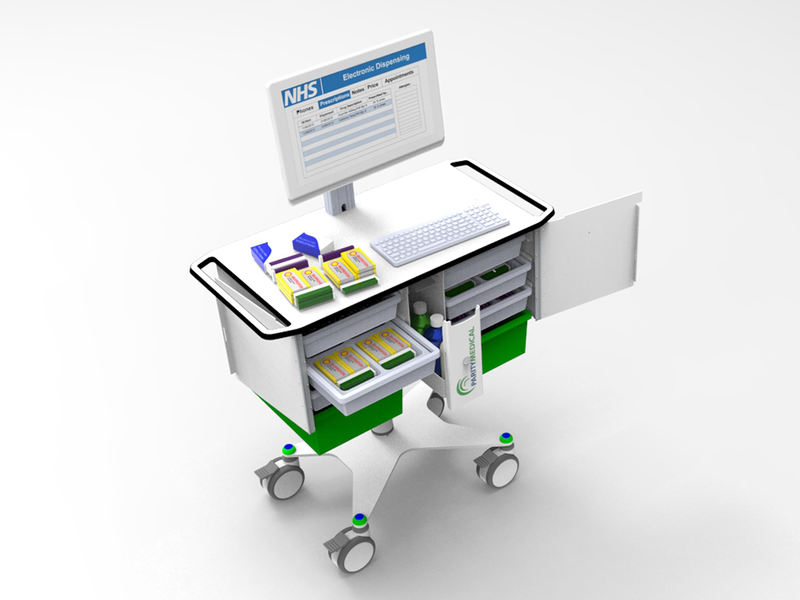 You'll find medication storage that makes it easy to access varied medication, all at waist height and without bending. We appreciate space is limited in IT. 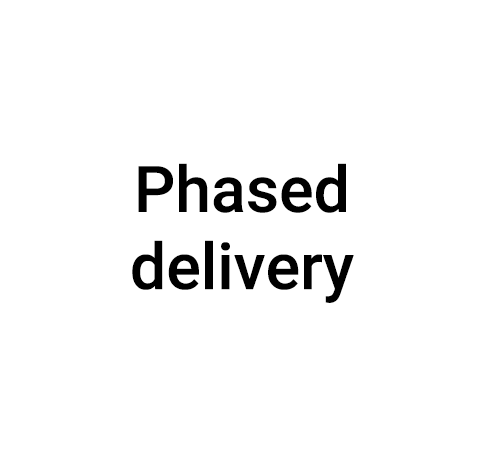 That's why we often do phased delivery directly to the end user at times which suit your roll-out. 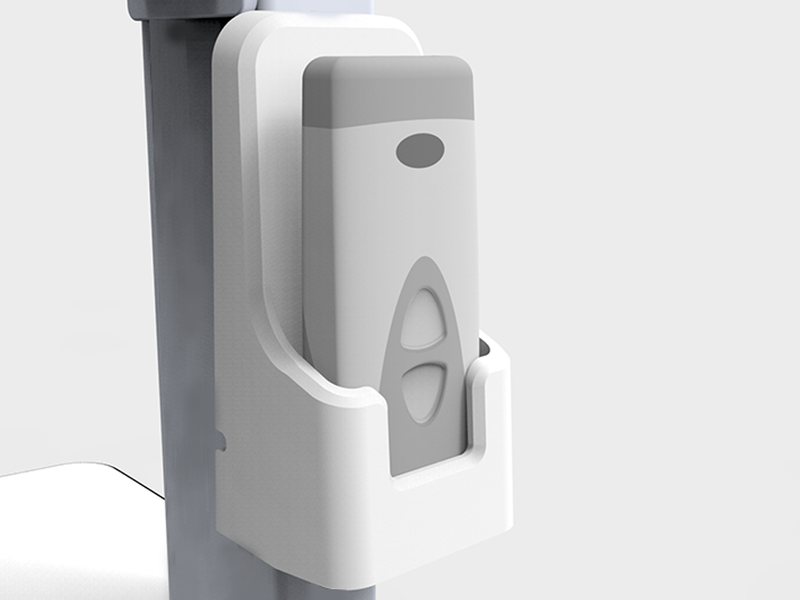 Easy access to medication bottles at waist height. 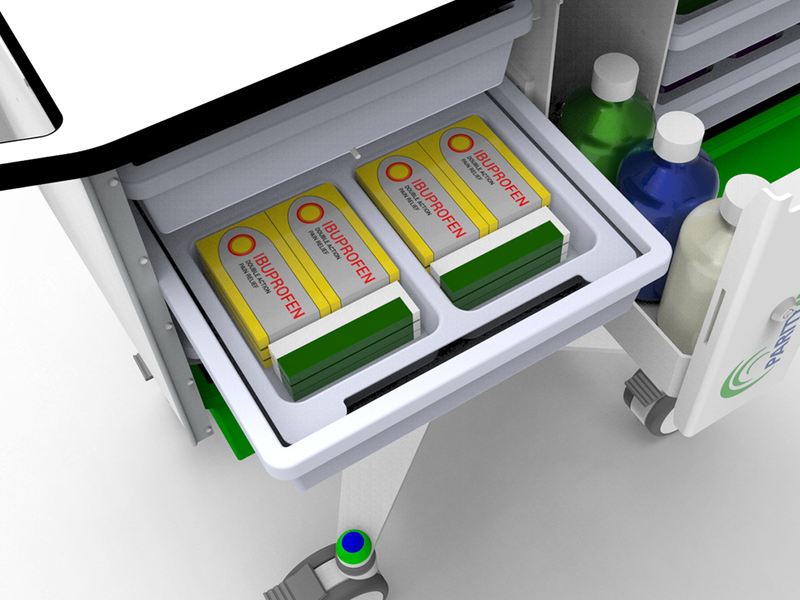 Reduce risk of unnecessary medication waste from breaking bottles or spillages, and reduce bending with an easy slide-out drawer. 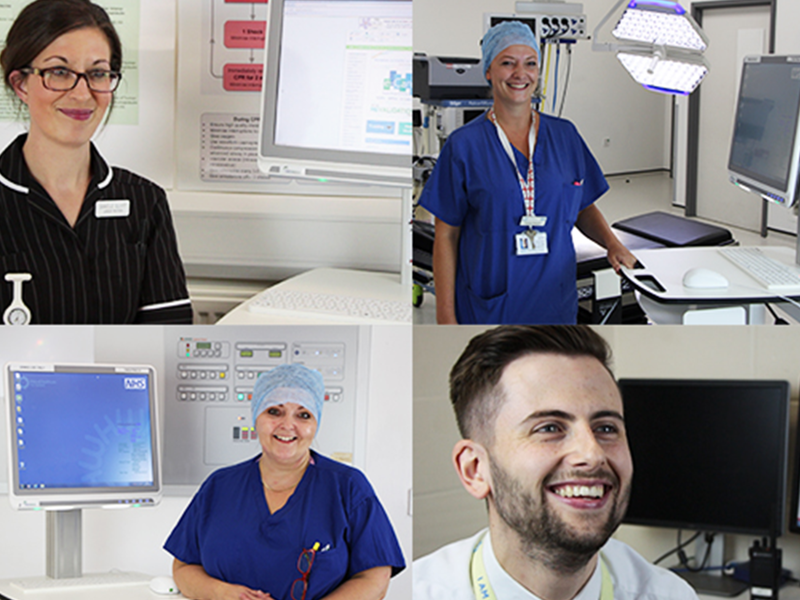 We have extensive expertise making Hospital IT projects successful, delivered on time and on budget. Accessories that are configured to suit you. 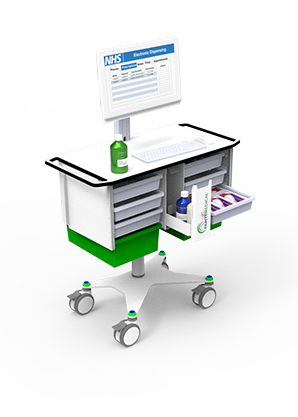 Barcode scanner, printer, infection control keyboards and mice, sharps bin - all at waist height, helping you reduce medication errors. 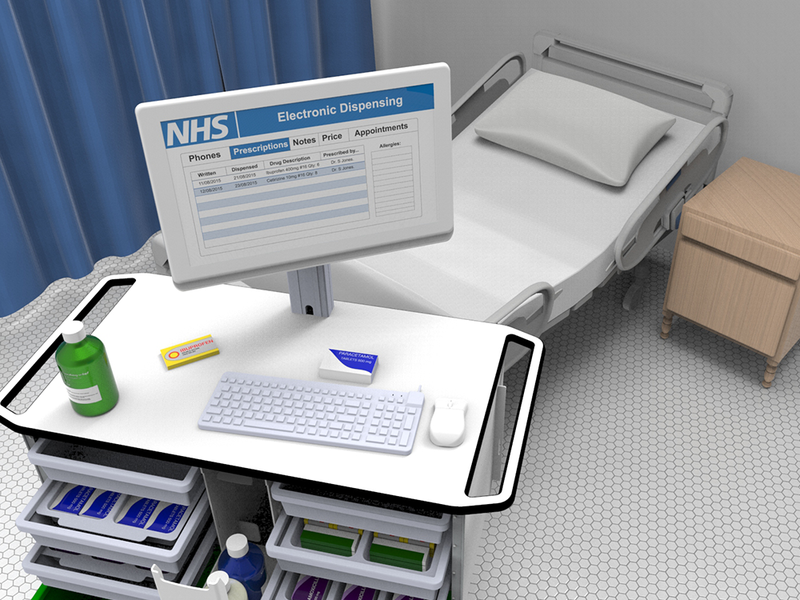 Smooth surfaces and easy to access compartments make the MedRound easy to clean. Approved with common hospital cleaning products. 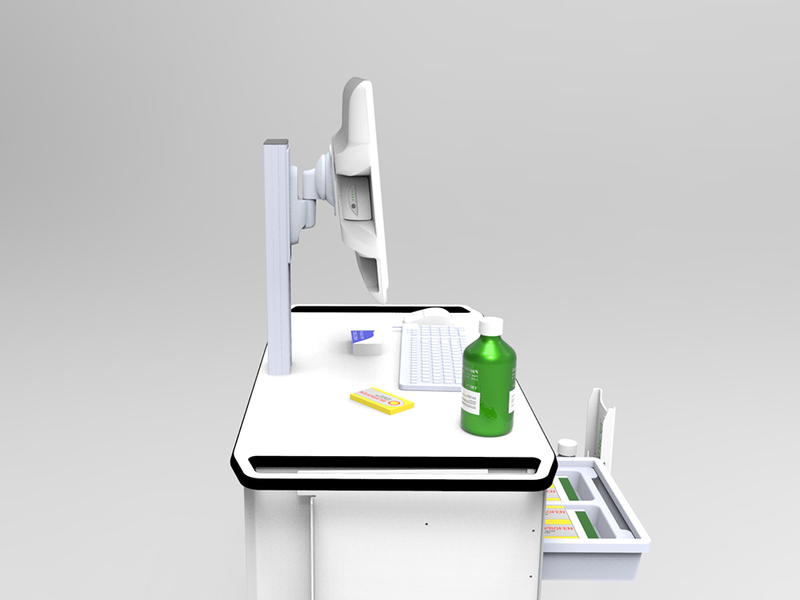 Enabling effective information access and plenty of space for preparing medication. Concealed fixings and minimal joins. 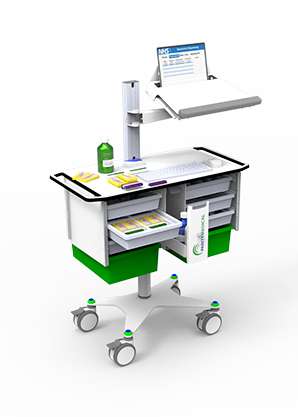 From top to bottom the MedRound has been designed with infection control in mind, unlike traditional dispensing Carts. 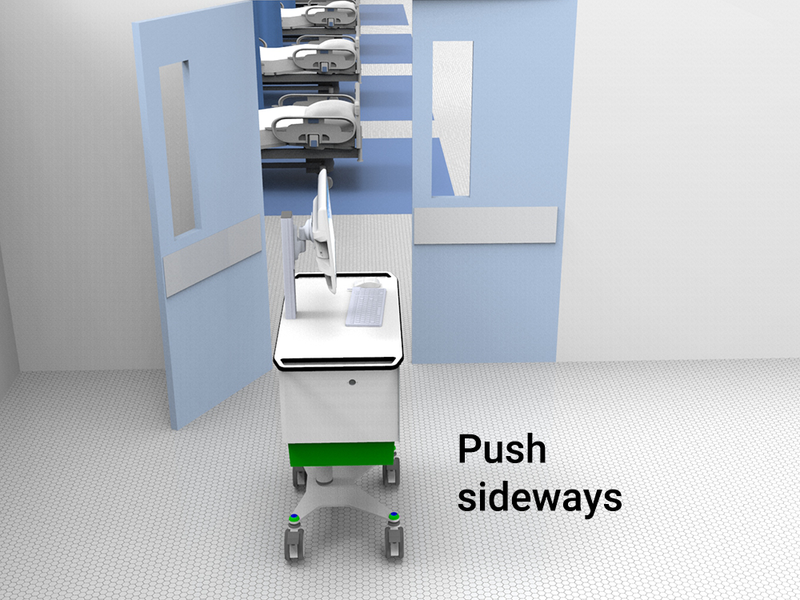 A small footprint ensures you can access congested spaces at the point of care, getting you closer to the patient. Cables being completely managed for infection control and security. Big castors. Easier to move. 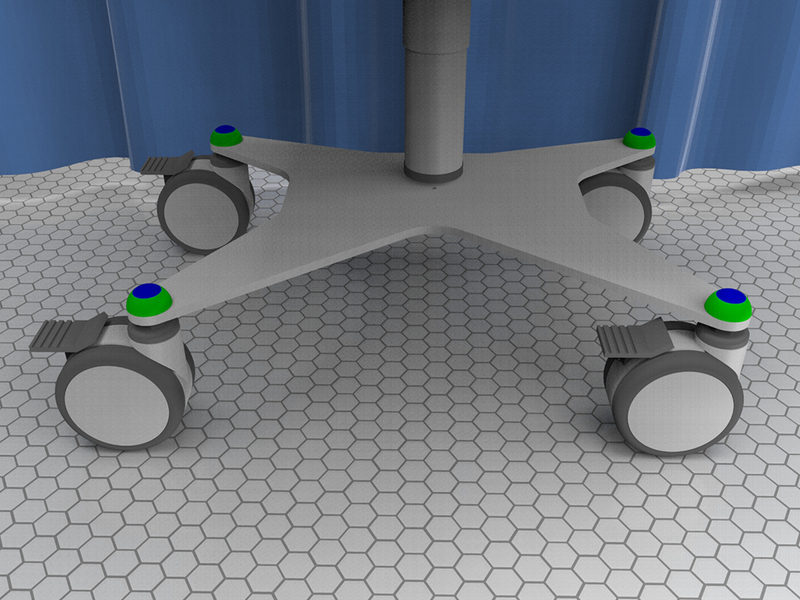 Four large dual wheel castors (all lockable) ensure you can wheel the Cart about easily to manage thresholds. 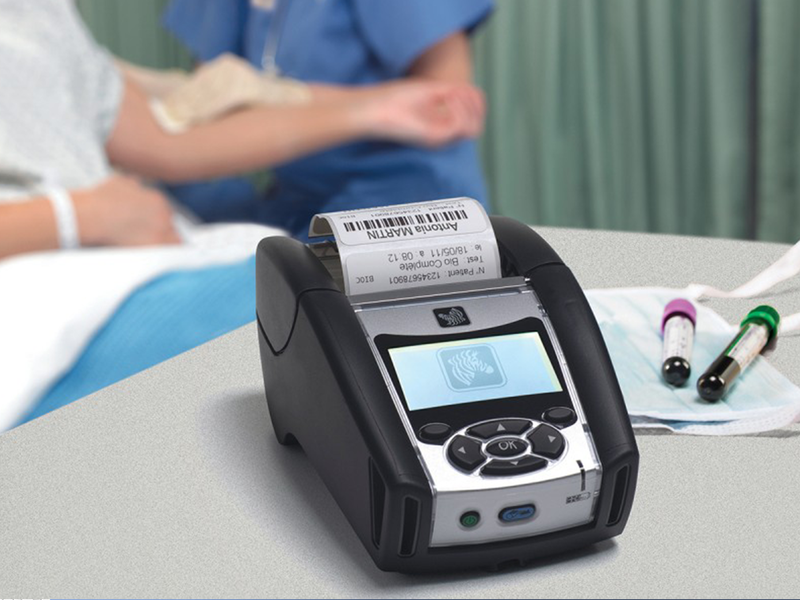 Ideal for ePMA and Phlebotomy. 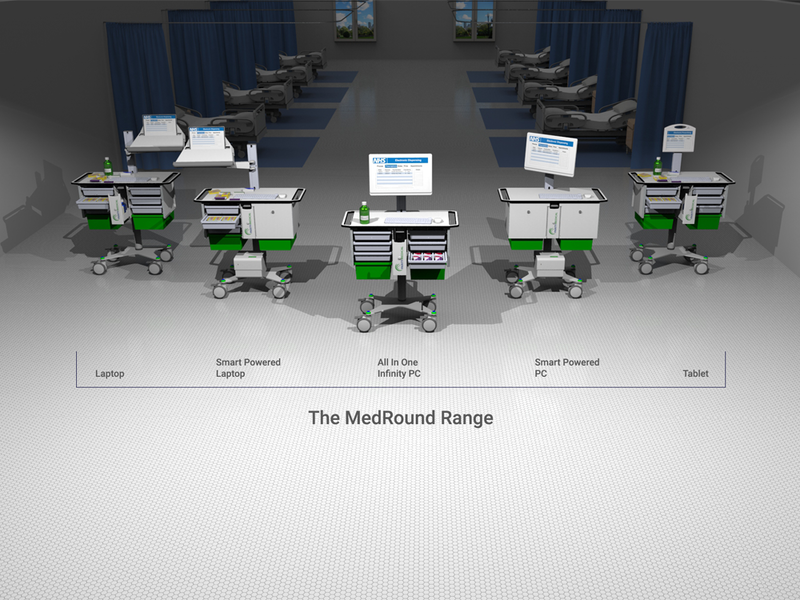 We have different configurations of the MedRound to suit your workflow. 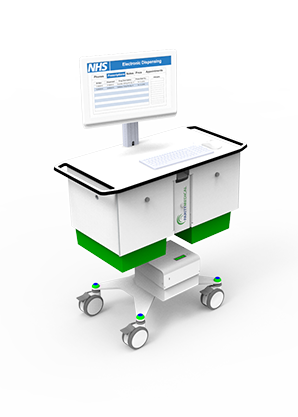 Whether you need a Medical All-In-One PC, Laptop, Tablet, powered or unpowered.